Our family just keeps growing! Revival Recordings is happy to announce that The Home Team has joined our roster. 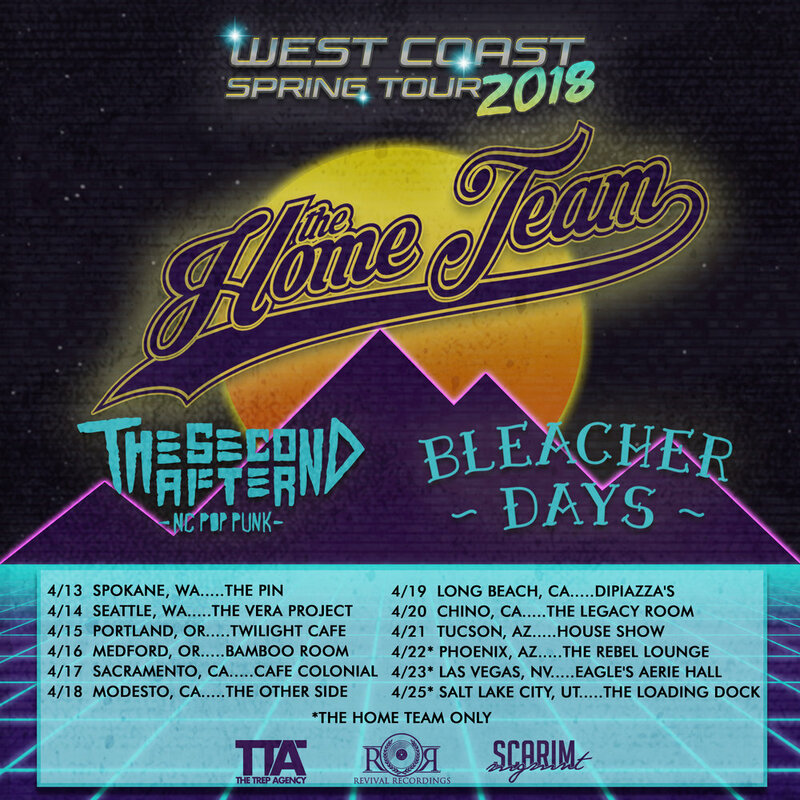 The Home Team is a 5-piece pop-punk/pop-rock band from Seattle, WA. If you like catchy hooks and music that makes you want to move, then prepare to meet your new favorite band! Along with the signing announcement, The Home Team has released their debut label single, "Fashion Forward," which is premiering exclusively on New Noise Magazine now! Be sure to go check it out and when you're done, you can purchase the track on iTunes or stream it over and over again on Spotify! Also if you didn't know, The Home Team is heading out on a tour with label-mates The Second After! You can see the tour flyer below.